Every year since 2012 the Sheffield City Partnership Board has commissioned a report to take a clear-eyed, warts and all look at the city, its challenges and opportunities and how it compares to other places. Each year the focus is slightly different, and over time the reports provide an increasingly expansive view of Sheffield and how it changes. The stated purpose of the report is to “inform anyone with an interest in how our city is performing […] about the shared challenges and opportunities facing the city, and highlight future priorities to pursue.” It’s therefore highly relevant to anyone operating or looking to improve life and business in the city, and I think it says something about Sheffield that it is willing to take an honest, unvarnished look at itself in the pursuit of becoming better. 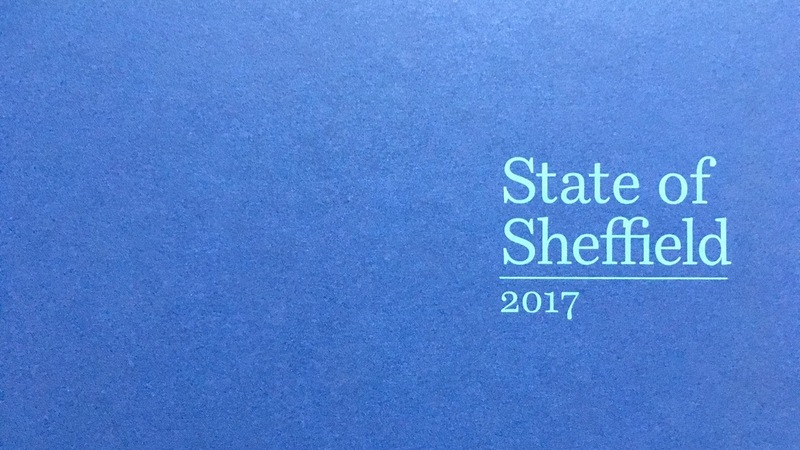 The 2017 State of Sheffield report is divided into 6 main sections, each taking a look at a different aspect of Sheffield selected because they are at the forefront of city policy-makers’ minds going into this year and “to shed further light on how Sheffield might be able to respond to possible future developments”. Below are those 6 themes along with some highlight findings from my notes, however I encourage everyone interested to download and read the full report. Over the six years of reporting, the UK has undergone one of the worst external economic shocks in history. Yet Sheffield’s economy has proved remarkably resilient. Why? Is it because it is more diverse? Perhaps because the economy now works differently? Professional, scientific and technical sectors. There is slower growth in new business startups, but fewer business closures compared to the other 9 Core Cities. Sheffield has a number of unique selling points: city of makers, cultural offer, outdoor leisure hub. But there are still a large number of people employed in the public sector. There has been improvement in skills & education (e.g. Skills Made Easy), but average pay is among the lowest in the country. Is there a mismatch here? Do we have the high skilled jobs for the highly skilled people? Or are we losing skilled people? Work together as a city in 2017 and beyond, to develop an inclusive growth approach which will build on the strengths and opportunities identified throughout. 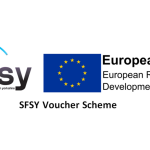 Work with partners across the city region to join-up Sheffield’s vision for inclusive growth with the broader vision for developing a successful city region, including maximising the potential of the Devolution Agreement and the Sheffield City Region Mayor, when elected. (As part of the official launch, Paul Houghton also gave a more detailed talk about the economy which I’ve summarised at the end of this post). Cities have to be for all ages. The main demographic growth is among the young and the oldest cohorts. Inequalities are narrowing for young people. The city has been behind national averages in the past, now catching up. But the city still needs to consider the very worst off. There has been success in moving young people into work: over 92% of 16-17 year olds are in full time education, training, apprenticeships or other jobs with training. There are 1.5 times the national average of teenagers taking up apprenticeships in Sheffield. Continue to work together to support ongoing and sustainable school improvement across all school types. 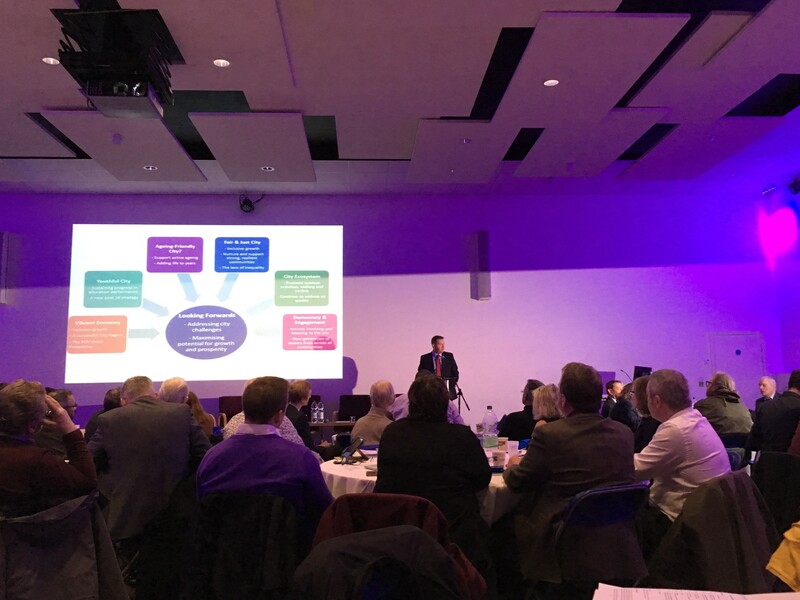 Work towards the development of a new Post-16 Strategy, to further continued educational improvement in the city, including sustaining the city’s good performance with regard to apprenticeships, and strengths in the further and higher education sectors. Varied and valuable contributions of older people to life, communities and the economy in Sheffield. Many are still working. Active contributors. Many are carers. It is important that the fairness agenda extends to everyone. Health and social care become crucial issues – there are challenges and variability across the city. Sheffield has a higher than average proportion of over-65s who are limited by poor health or disability. Take an ‘active ageing’ approach to everything we do. Focus on adding life to years, now that years have been added to life. As part of our Public Health Strategy work together to renew and redevelop the City for All Ages framework and refresh our approach to healthy ageing. In 2013 Sheffield Fairness Commission published its report, but there is still significant inequality in the city. The proportion of children living in poverty has increased to almost a quarter(!). There are fewer people in long-term poverty. But more in short-term poverty – dropping in and out, and in again. Many people are living precarious and insecure lives. There has been increased demand nationally and in Sheffield for food banks & additional services. The economy and welfare system still has to go through changes to alleviate this situation. Sheffield has a good reputation as a safe & welcoming city, however there is no longer an official measure or data on social cohesion. Continue to work towards implementing the recommendations set out by the Sheffield Fairness Commission and provided to Sheffield leaders, and ensuring that we are looking at policy and resource allocation through an inequality lens. Work together to nurture and support strong and resilient communities across the city. Champion the case for inclusive growth, as identified in the previous section, recognising that we need to grow and prosper together, in a way which benefits and includes all of our residents. Substantial and accessible green assets across the city. Increasing numbers of people using the natural environment for walking, running and cycling. The impact of climate change is not very visible in Sheffield, but is an issue that should concern us all. E.g. impact of increasing food prices. Air quality is a significant issue (as it is for other cities globally). Sheffield is still a heavily car dependent city. Cycle rates are below other equivalent cities. Public transport use rates have not increased as economy has grown. 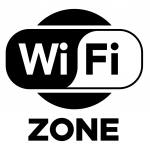 Encourage larger proportions of the population to make use of the outdoor environment and the range of activities and facilities available across the city. Build on the positive trends seen in walking and learn from the experiences of other cities in terms of how to most effectively improve our cycling rates. Work together to address the long standing air quality challenges faced by the city, whilst acknowledging that this is a challenge for all cities. There has been enormous variety in turnout for elections. But there are still areas with recurrent poor turnout. There are 3,300 voluntary and community organisations in the city. Over 90,000 people are active in communities, faith organisations and volunteer work. Ensure that our many institutions across the city are open, actively involving and listening to people. Nurture new generations of leaders drawn from all our diverse communities, to pursue new opportunities to engage and contribute, and help shape the city’s future. Sheffield is built on creativity. But generally in Sheffield, we don’t like big. We like niches. We are a city of niche entrepreneurs. Just like the Little Mesters of old – e.g. our breweries, recording studios, and art, culture, creative and digital industries. Significantly, we are producing below the national average number of startups. Claims for R&D tax credits are also below national average. But we register extremely highly in the number of patents our universities produce, yet that value is not being effectively captured and retained in the city. Productivity is low. Manufacturing productivity is strong, comparatively, but only represents 9% of our jobs. Productivity in digital tech is extremely strong, and engagement with this sector is crucial for all others. Sheffield has been built on collaboration, and it’s striking how there is increasing willingness to collaborate in the city. (Sheffield Digital were name-checked along with the Creative Guild as new organisations that are fostering collaboration, but there is still more to be done to bring sectors together). Collaboration is increasing regionally across infrastructure, transport and policy. Devolution is driving this and will do in the future. We need to reconsider what we mean by leadership, as there are a large number of people very keen to drive the city forward. There is a new set of business leaders emerging, including from the digital tech industry – e.g. Sumo, the Floow and Jaywing. Resilience means we will survive, but we want more than that. We lag behind in productivity, and this needs to change if lofty ambitions are to be realised. We know who we are. We are not brash. We are not corporate. We get stuff done. It’s this combined with ambition that will build the Advanced Manufacturing Innovation District. That will build the new HS2 station. Both can be the envy of other cities. We at Sheffield Digital are clear in our answer to this question: we will carry on in our mission to Connect, Promote and Represent the city’s digital industries, but we can only continue do so with support from our membership. So, however you answer that question for yourself, please consider supporting us and talk to us about your plans so we can help you realise them!